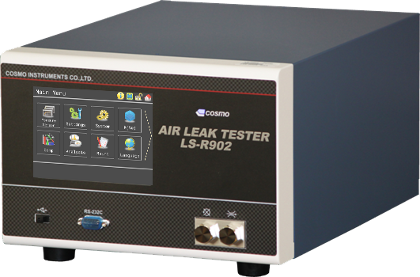 New generation: DP air leak tester High-performance standard type LS-R902 | COSMO LEAK TESTER / COSMO INSTRUMENTS CO., LTD.
Further user-friendliness with new features such as Quick Access improved from its predecessor. This truly new generation air tester combines the experience and know-how that Cosmo Instruments has nurtured over many years, with new functions and the newest technology. Adopted touch panel color LED. 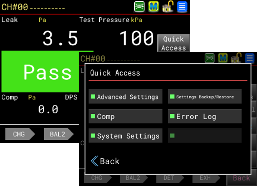 The icon display on the menu screen is simple and intuitive, and the reportedly difficult operation of the instrument has been revamped. Anyone can use it right away. 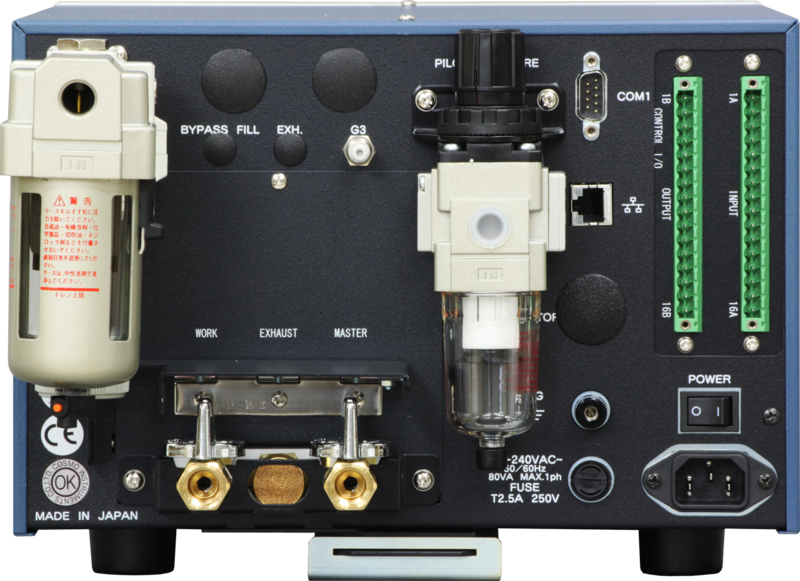 The measurement screen is available in 6 different types for different situations, including a simple display and a detailed display, and a display in which you can observe measured waveforms. 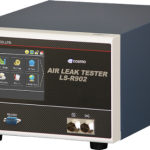 The LS-R902 is a new air leak tester that meets a variety of demands. Directly access the screen of some screen you often to use. 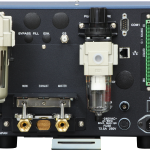 I/O wiring is completed with dedicated cable connectors.Supports smooth communication with PLC with fewer cables.Test results can be output to the network. Simple to operate with icons. The Home icon can move directly to the measurement screen, and the (i) icon in the upper left displays all sort of information. The measurement screen is available in 6 different types for different applications/situations, including a simple display and a detailed display. Also, the display items can be customized. 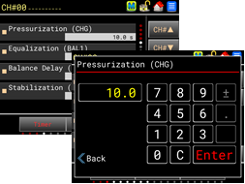 During setup, a large numeric keypad appears, and all types of settings can be adjusted using the simple screen display. 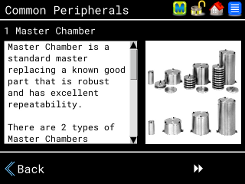 In the help screen, complete explanations of computational tools and peripheral devices are available. 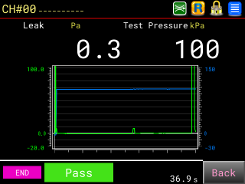 Displays the test pressure and DP waveforms from measurement start to detection completion. The ideal time for applying pressure and attempting detection can be found. 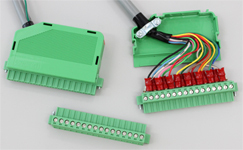 Phoenix Contact product was adopted for the connector of the input/output interface. Several setting are necessary for the leak test. This function provides initial settings for measurement time when first implementing the leak test. Checks for anomalies in the air circuit with workpiece at each operation. (Attention) Effectiveness varies based on operating conditions, and there are cases when it cannot be used. Supports Japanese, English, Chinese, Korean, German, Spanish, and Portuguese. Leak volume mL/min, L/min, mL/s, Pa/s, Pa/min, Pa, kPa, Pa・m3/s, E-3 Pa・m3/s, etc. Uses clean air.The original pressure must be sufficiently higher than the test pressure. 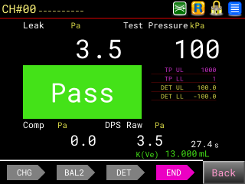 Saving data Saves decisions, leak values, correction values, test pressure, WK#, CH#, and time on inserted memory. Set values storage All channel settings, system settings, etc. Master chamber, leak master, bypass unit, external exhaust valve, etc. Used for workpiece volumes 100 mL or less, when high detection capability is required. The valve that controls the bypass unit is built in.Bypass Unit is sold separately.